Everyone loves a good burger every now and then. 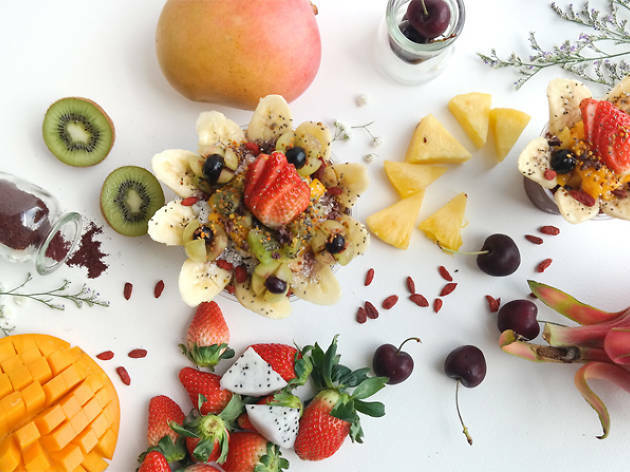 The way its juices trickle down the hand as you chomp down on a fluffy bun loaded with meat (we have vegan options too) and other decadent toppings – it's a divine and layered experience. 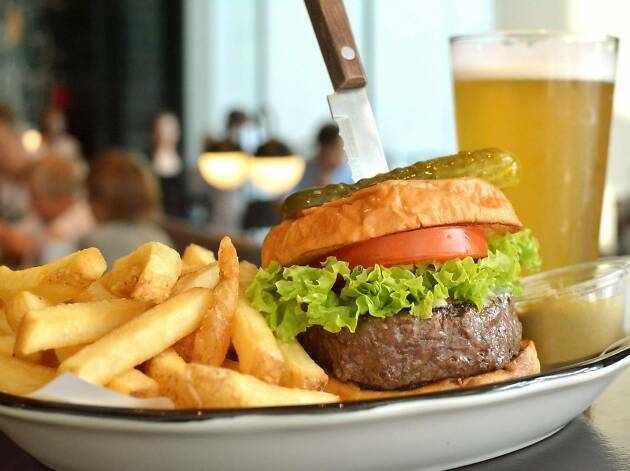 Our quest for the best burger in Singapore is eternal. Here are some places we're really digging at the moment. 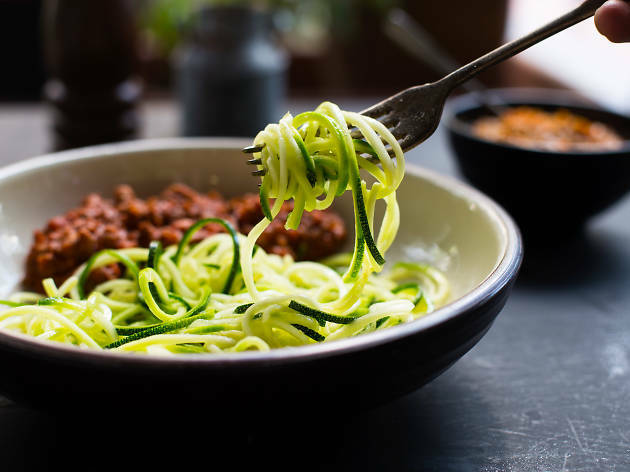 Earning the number 12 spot on Asia’s 50 Best Restaurants of 2018 is no easy feat – it would take something real special to do so. Something like a couple of custom-made ovens and grills fired by coal, apple or almond wood, to achieve temperatures of over 1,700 degrees. With the high heat, come the strong flavours, and that addictive subtle smoky taste – exactly what to love from a modern Australian-style barbecue restaurant. At Burnt Ends, the menu changes every season to always include a wide range of different smoked and barbecued dishes, from meat and fish to eggs and vegetables – and even ice cream. Try As one of its signature dishes, it is a miracle that The Sanger ($20) is also one of the cheapest on the menu. This burger really brings things to the next level with its savoury pulled pork shoulder drenched in coleslaw, between two of the fluffiest buns that you can ever imagine. 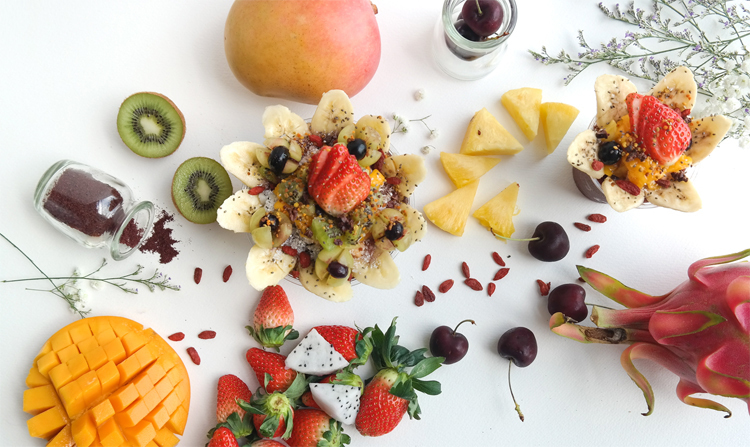 Despite the wide spectrum of flavours, they all come together in perfect harmony. If you like your meat slightly charred and smokey, then this American steakhouse is where you should plant yourself and never leave. 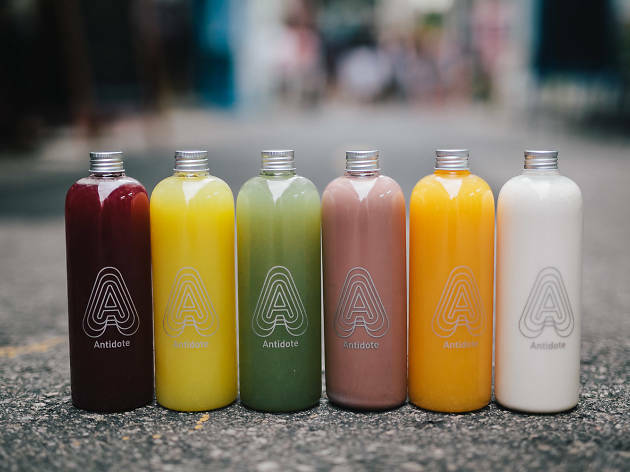 With two locations in Little India and Telok Ayer, you can be feasting on plates of barbecue ribs, brisket and some drinks from the barrel-aged cocktail menu. Try One of the all-time favourites from the menu is the Cheeseburger ($10). 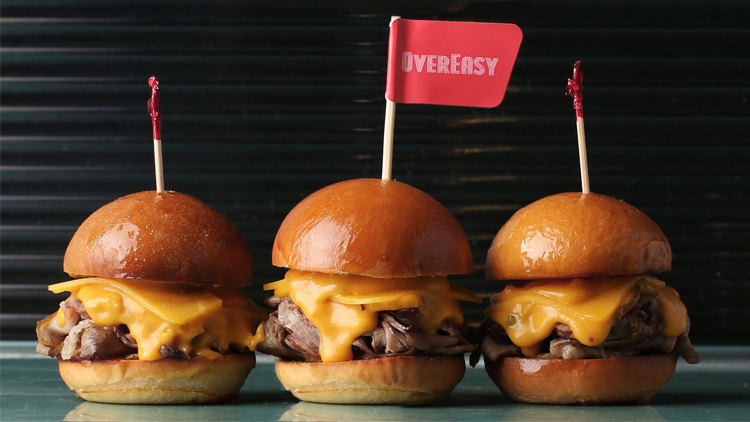 Sitting in between two soft and fluffy brioche buns (the same ones from Burnt Ends) is a very thick and beef short rib and brisket patty topped with melted cheddar. Things can get extremely juicy so be prepared to use your hands. 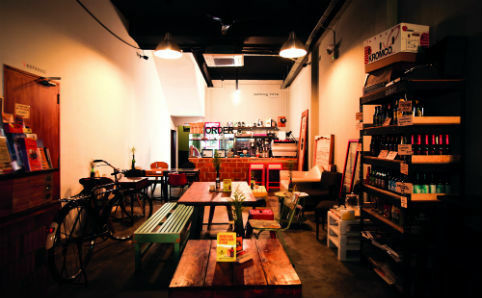 As one of the few Mexican fast food restaurants in Singapore, Muchachos is definitely a cool and hip place to hang out. This restaurant promises to serve you with happiness wrapped in a burrito, assembled right in front of you. Though this happiness takes on the names of either Breakfast Burrito ($13.50) or California Burrito ($13.50), both of them are delights to your taste buds. Try Though the restaurant is known for its burritos, it sure prepares a mean Cheeseburger ($12) worth skipping all the burritos for. 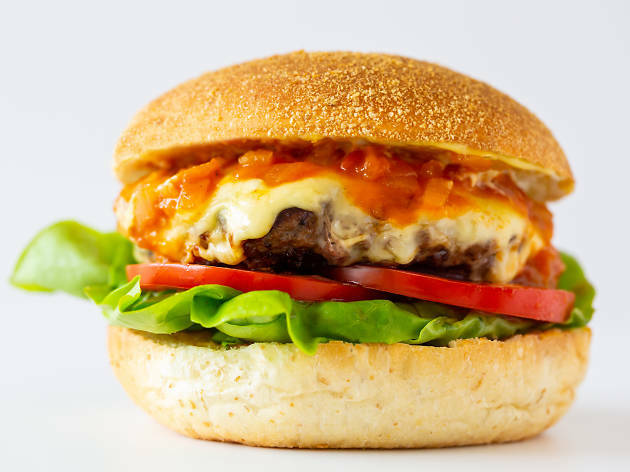 Between two puffy glazed buns, the flavours of the savoury patty are complemented by the sweet and sourness of pickles and tomatoes, under a blanket of cheddar cheese. If you're looking for a quick dirty burger, this is it. 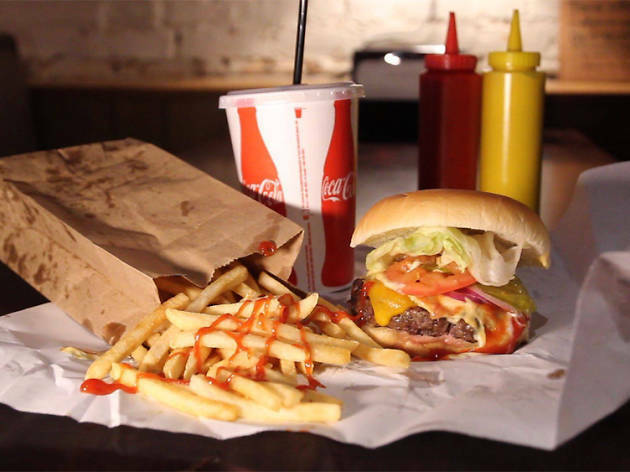 Black Tap opened its first burger joint in Soho, New York back in 2015. What started out as a small 15-seater has now grown into a restaurant chain with over 11 restaurants around the world. Catapulted to fame by its CrazyShake, Black Tap's signature over-the-top milkshakes that come in flavours like Cotton Candy, a strawberry shake topped with a pink lollipop, rock candy, whipped cream and cotton candy, as well as the Bam Bam Fruity Pebbles shake that comes fully rimmed with fruity pebbles and Rice Krispies finished with a strawberry pop tart and laffy taffy rope. 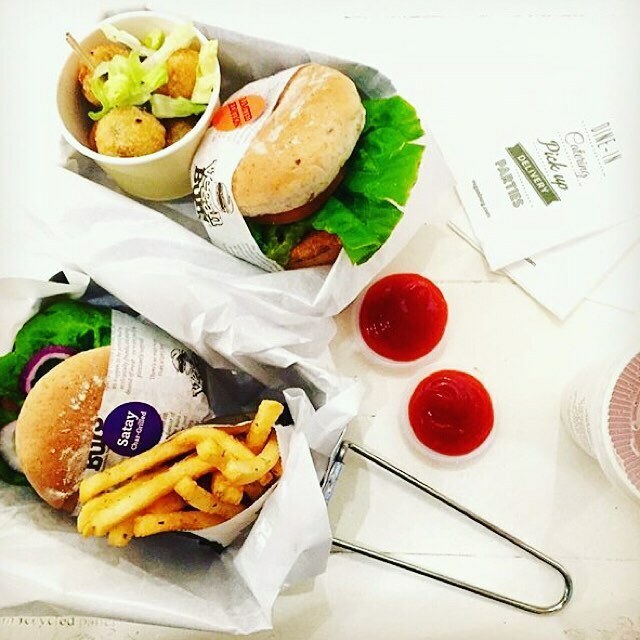 TRY If all that sounds too sweet for you, balance things out with Black Tap's range of juicy burgers. 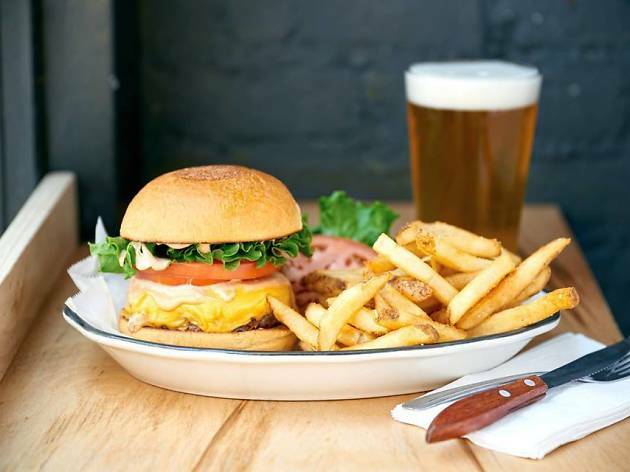 Favourites include the All-American Burger ($22) and the Crispy Chicken Sandwich ($23) which might be on the pricier side but they are huge and come with a generous side of crisp fries. 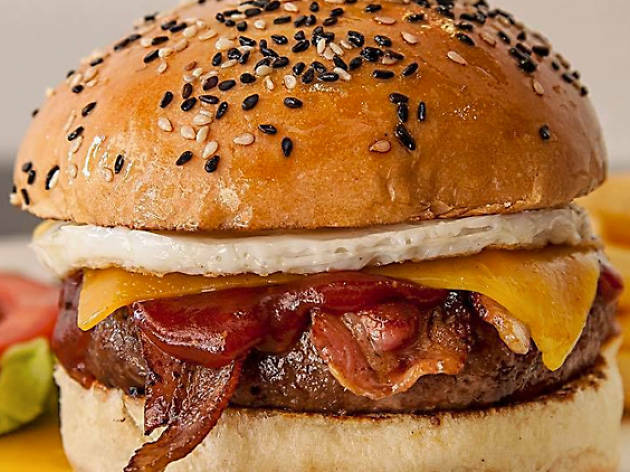 They may come from different islands of New Zealand, but brainchild of Baker & Cook Dean Brettschneider and Chef Jenna White couldn't agree more that its time to flip the current gourmet burger trends on their head. The pair have designed Mo & Jo’s top notch burgers to be eaten with two hands, and the baked sourdough buns are made fresh daily. 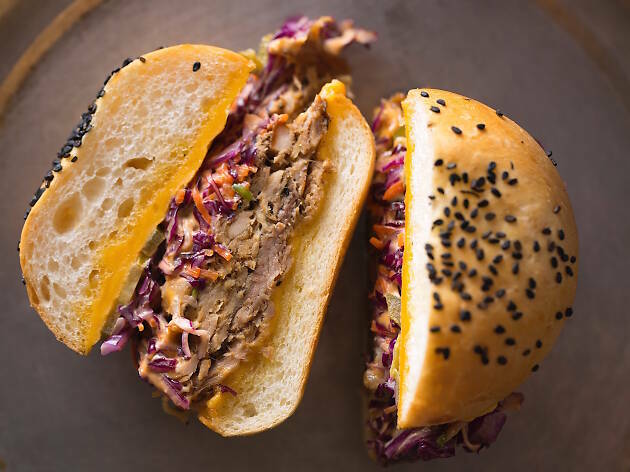 Choose from a range of fillings to pair with their buns, from Australian grain-fed or vegetarian burger patties, fresh Australian barramundi, pulled pork or chicken, sandwiched between lettuce, tomato, cheese and onion, and topped off with Mo & Jo’s homemade mayo, sauces, relish and pickles. TRY For a classic cheeseburger, go for The Jo ($19) and for something more adventurous, order the Naughty CCC ($18) with crumbed and fried chicken breast, camembert, cranberry sauce. 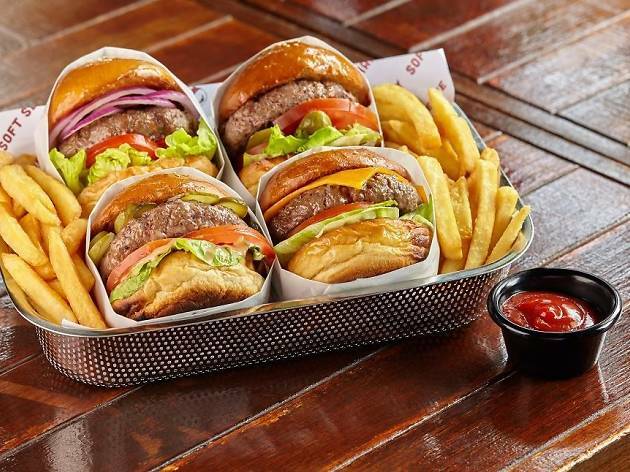 This iconic burger stand from Hollywood finally makes its way to Singapore, bringing with them their brand of fresh, authentic and tasty offerings. 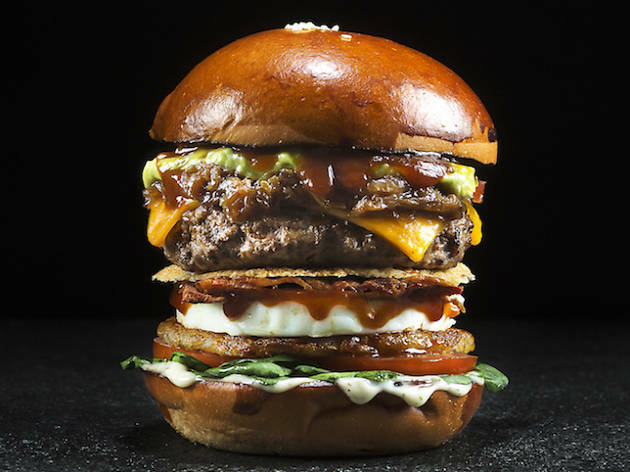 If you feel that the burgers you've had in Singapore have been pretty small, gear up for the tower of patties you'll find in most Fatburgers (you can swap your buns for patties if you're on a keto diet). Remember to complete your American diner meal with a side of fries, or buffalo wings and a milkshake. TRY If you're super hungry, or feeling adventurous, hit up The Quad Burger ($15.90) stuffed with four thick patties. Good luck! 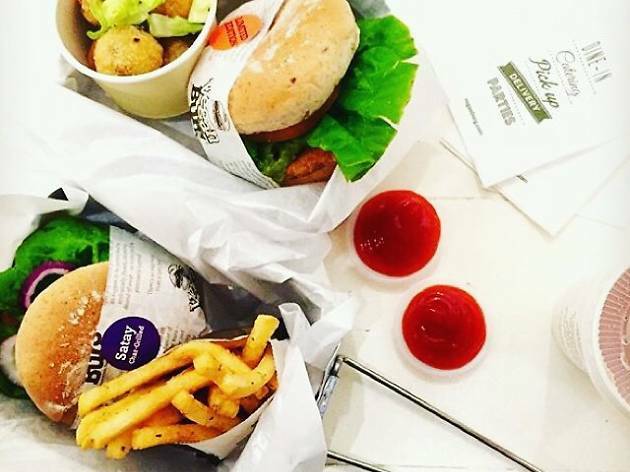 Fast food for vegans – it's a thing. Why shouldn't vegans enjoy some good ol' burgers? 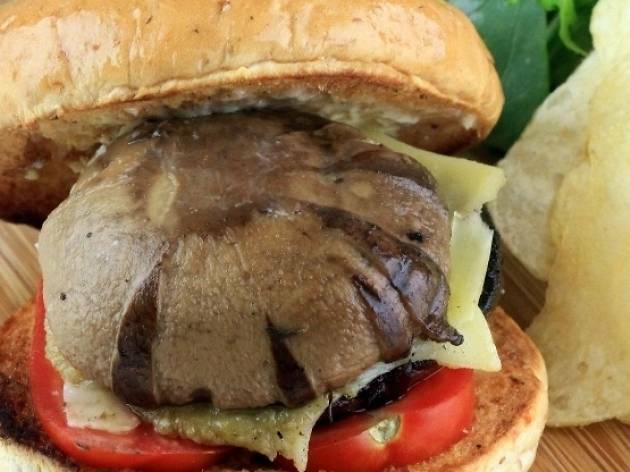 Veganburg assembles stacks of egg-, dairy- and meat-free soy and mushroom patties between wholemeal buns. 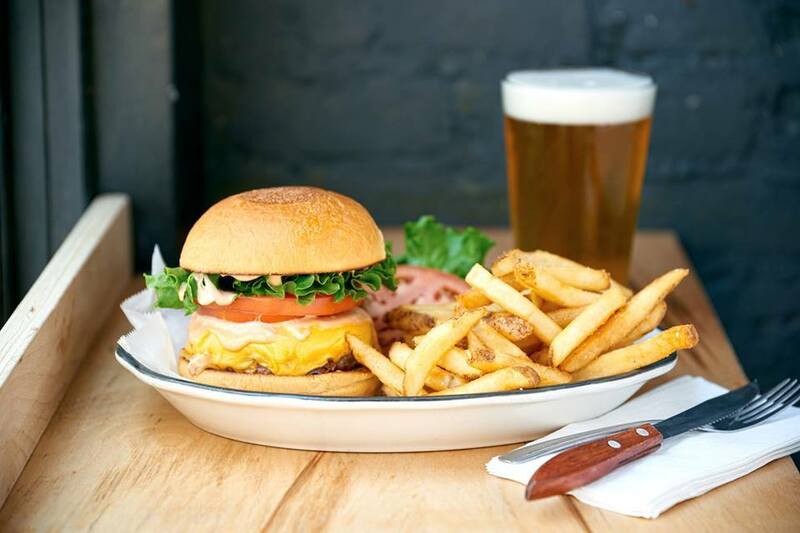 TRY Get the barbecue sauce-slathered Smoky BBQ ($10.90) or opt for the Cracked Mayo ($8.90) – the egg-free mayonnaise burger comes with a savoury, crispy soy patty. TRY Choose from 16 types of burgers including the Fat Basterd ($19.50), a double beef chuck patties with Fatboy’s homemade barbecue sauce. 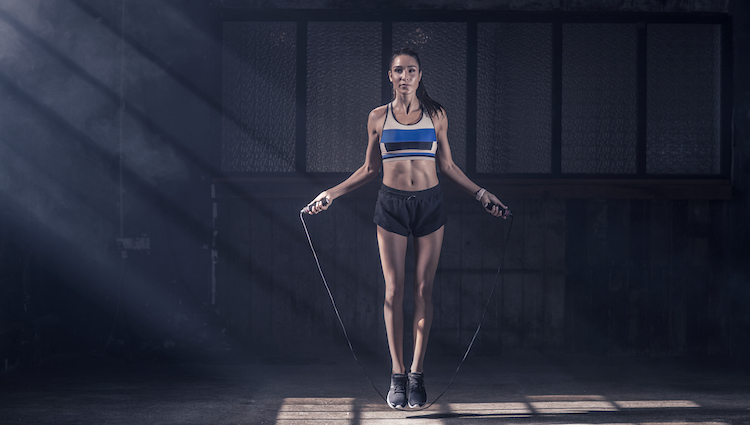 And remember to save some tummy room for a creamy milkshake. On the back alley of Gemmil Lane, shift through the metal doors next to the neon burger sign, run your fingers down the red velvet curtained passageway, and enter the joint. Split into burger kitchen and craft beer bar, the space feels like an underground bunker, clad in graffiti-covered swirly timber. ‘It’s almost creepy how much this one looks like the original in New York,’ an expat friend tells us in shock horror. 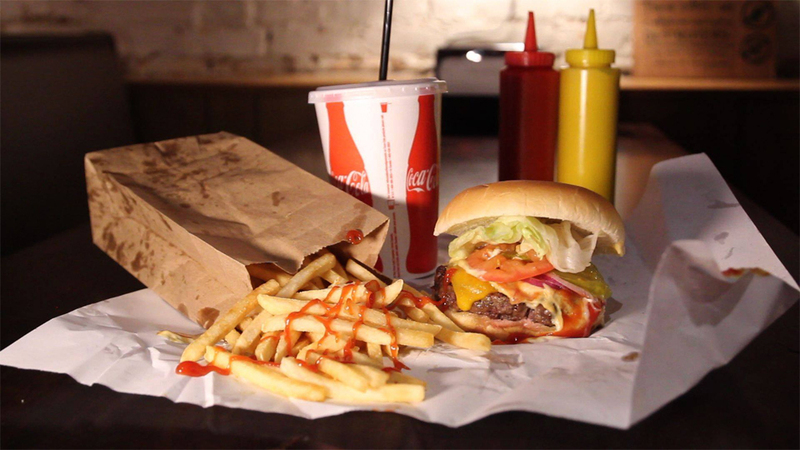 TRY The menu of hamburgers ($13.10), cheeseburgers ($13.80), bacon burgers ($15.10) and bacon cheeseburgers ($15.80). Choose a burger, its doneness and trimmings like lettuce, tomatoes, onions, pickles, ketchup, mayo and mustard. We’re never fans of paying extra for fries, but the crispy shoestrings ($5.50) are a must. 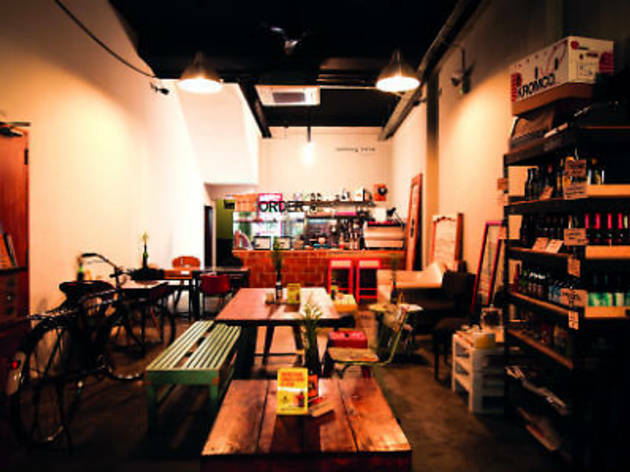 Eclectic decor and mismatched furniture dominate this casual chill-out spot along Arab Street. 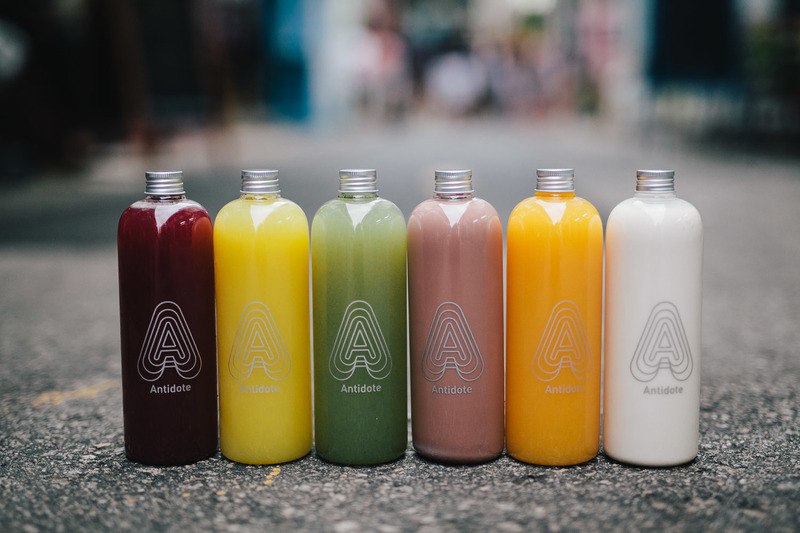 We all need a spot to refuel after shopping after all, right? 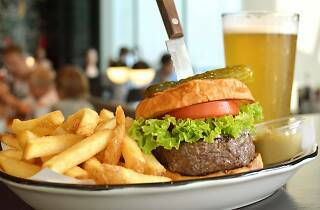 TRY It does a mean double beef burger that’s topped with caramelised onions and veg ($22). Have it with a side of truffle tater tots ($5), seasoned with truffle oil and grated Parmesan. 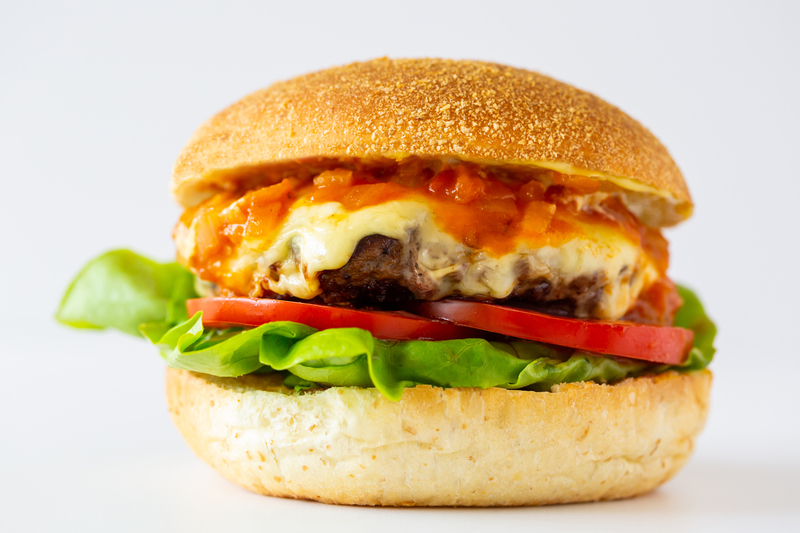 For a more localised spin, try the beef dendeng version of a burger, its patty dripping with satay sauce ($18). Omakase caused quite a stir when it first launched in Singapore. 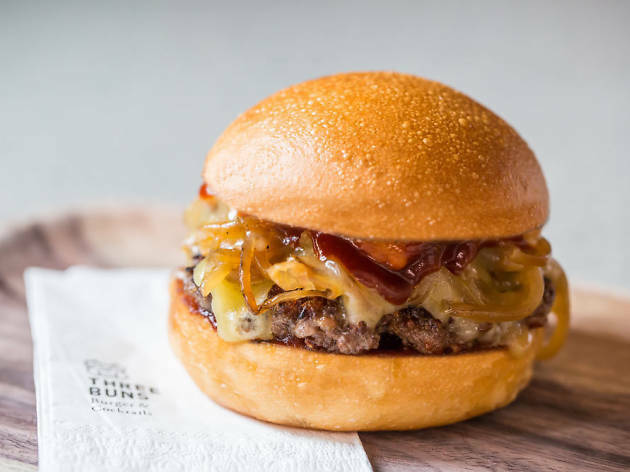 Owner and former banker Cheng Hsin Yao has hyped up his burger patty smashing technique, which keeps the meat pucks rounder and juicier on the inside. One outcome of that, however, is that the burgers come out looking smaller than the competition, but they're undeniably tasty. 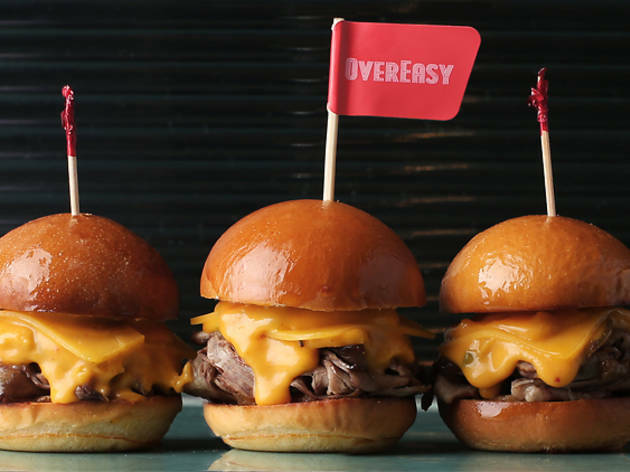 TRY Stick to the classic Omakase Cheeseburger ($18.50), with American cheese perfectly melted on top and the package offering a satisfying mouthful with each bite. Welcome to the fun '80s – think pastel palettes and a menu that owes a debt to the classic American diner. Signatures like Reuben pastrami sandwiches, waffles and wings drizzled with honey maple syrup are definite highlights here. TRY This OverEasy favourite is loaded thick with the scent of the pungent mushroom. Truffle oil and bits go into the housemade mayo between two 160g Aussie wagyu patties of The Truffle Burger ($28), and there are added caps of browned shiitake and hon-shimeiji, plus onions under fluffy potato buns baked in-house. Oh, and don’t forget the $2 upgrade for truffle fries to take the experience the full hog. 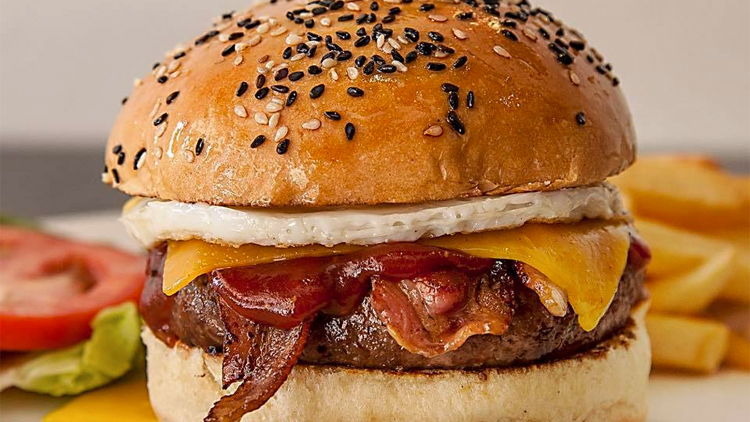 From the people that brought you the Terminator Challenge (finish a massive six-patty wagyu burger in under 20 minutes and get the meal on the house; otherwise, it’s $58), this Dempsey diner clearly doesn’t fool around with their burgers. Everything is cooked in their wood-fired Josper grill, the prices are reasonable (everything else is well under $25) and nothing is the least bit pretentious. 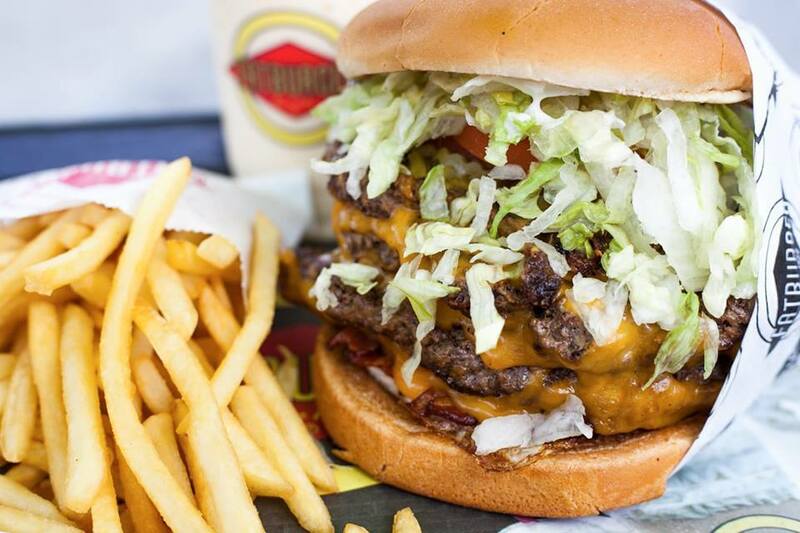 You won’t go wrong with any of their burgers. 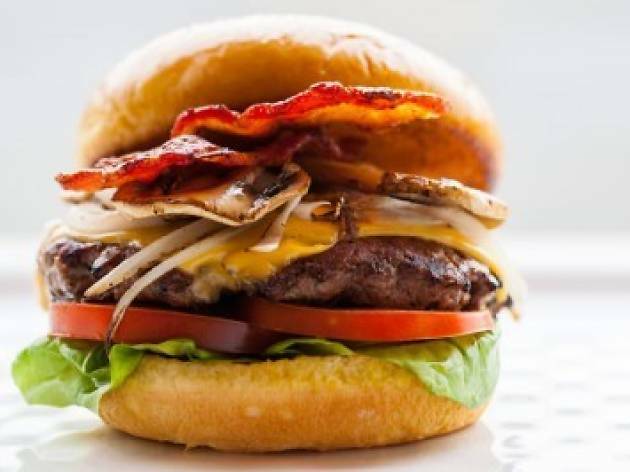 TRY If you like your bacon (and lots of it), go for the Bacon Marinated with a generous serving of crispy bacon, sweet caramelised onions, sautéed mushrooms, and a juicy tender beef patty sandwiched between two buns. The OG of local rooftop bars might be – literally – overshadowed by younger upstarts on taller buildings, but it hasn't yet lost its place on our list of watering holes for a fun night out. 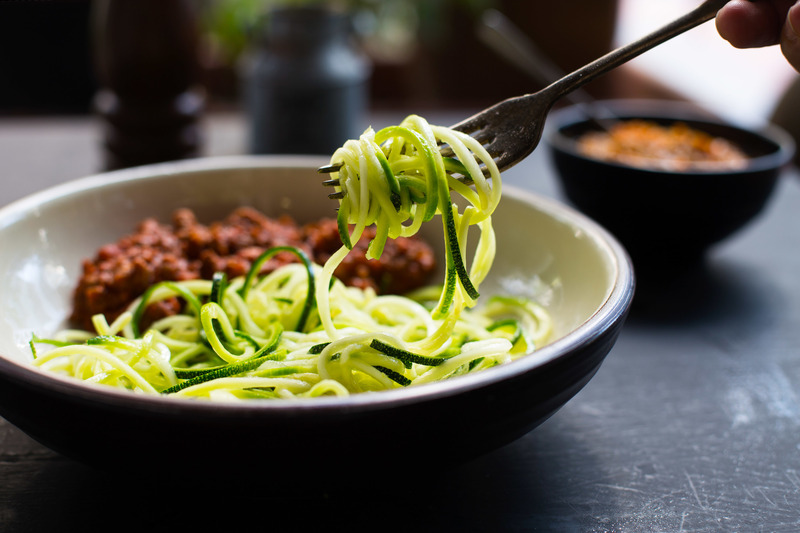 When theyteamed up with "dude food" guru chef Bjorn Shen to craft its supper menu full of comfort food, magic was made. TRY We love the Pork Chopper ($19), Hainanese cream cracker crusted pork chops served with a salted vegetable slaw in a fluffy brioche bun and the BCM grilled cheese ($18) a sourdough cheese toastie stuffed with bak chor mee pork mince. But Loof's crowning glory is still the original Ramly that's been on the menu since 2012. 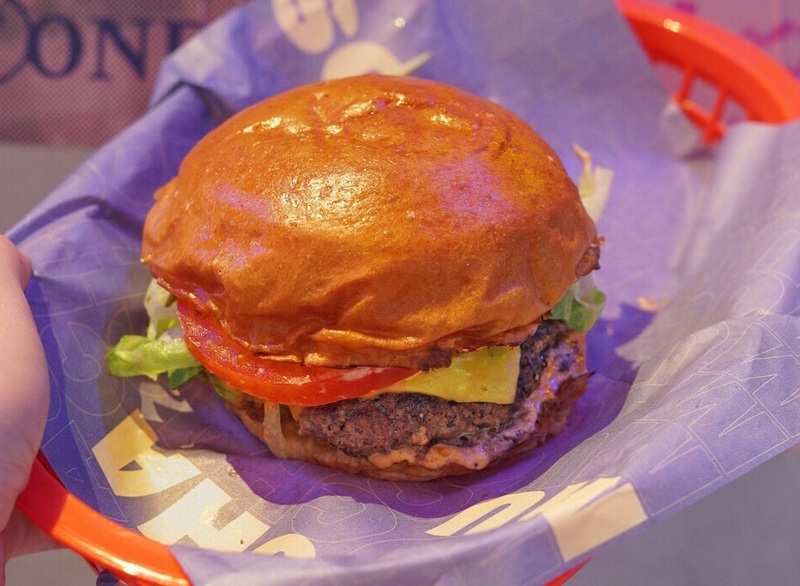 Unlike the pasar malam with its suspect meat, this one opts for nothing but 100% prime Australian beef for its patty, which is then encased in a paper-thin omelette layer and topped with a generous drizzling of secret sauce, raw red onions and shredded lettuce. A fitting tribute. French chef Daniel Boulud was one of the first celebrity chefs to set up shop at Marina Bay Sands, bringing with him his Paris bistro-styled casual dining. TRY His db Burger is something of a legend, and often cited as the best burger in town – at $42, it’s also by far the most expensive. 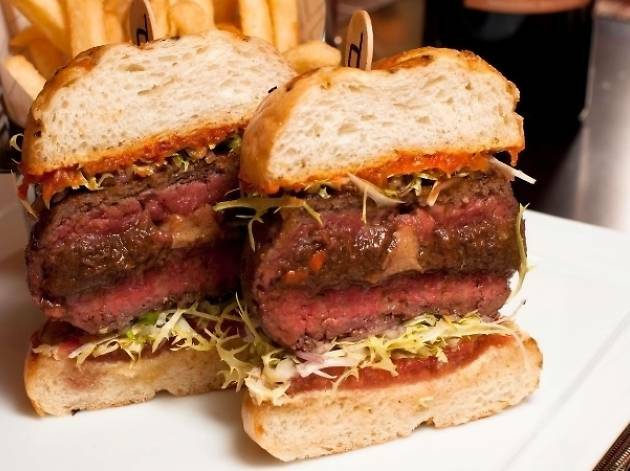 Still, the price is somewhat justified given the whopping 1.5-inch-thick sirloin patty, stuffed with braised short ribs and foie gras, all stacked so high it’s tough to get a bite down on its parmesan bun. 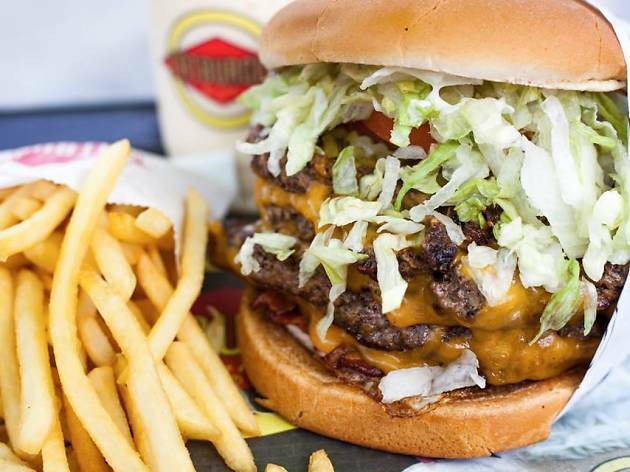 Come for drinks but stay for the burgers. Potato Head Folk manages it with fun and flamboyance, even while juggling split personalities: burger joint Three Buns occupies the first two floors, artsy cocktail club Studio 1939 is nestled on the third, and a twinkle-lit tiki bar operates on the building’s lovely open-air rooftop. 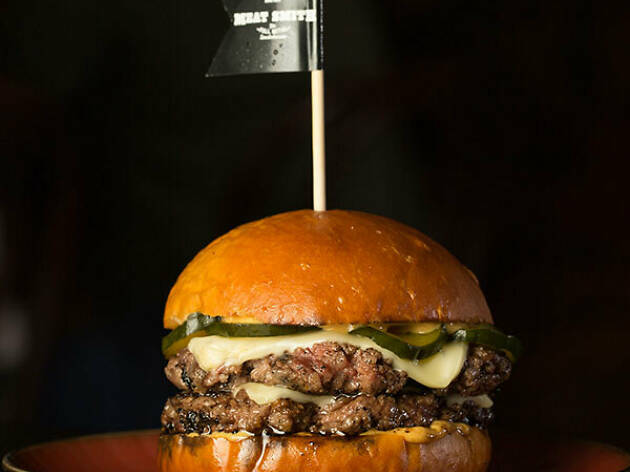 TRY Prepare to get messy with the Baby Huey ($17). 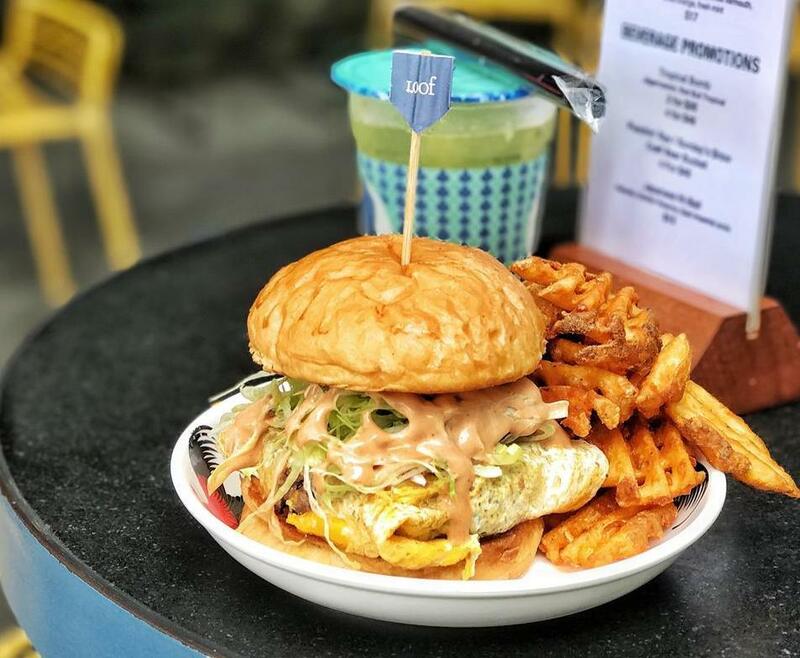 This Jakartan import’s hearty burgers on the iconic corner of Keong Saik and Teck Lim roads injects a punch of flavour and texture to the 150g Black Angus beef patty with a piquant sweet and spicy Notorious T.O.M sauce. There's lettuce and pickles for some acidity and crunch but the oozing melting cheese between house-baked brioche buns to deliver bite after bite of juicy, balanced flavour. 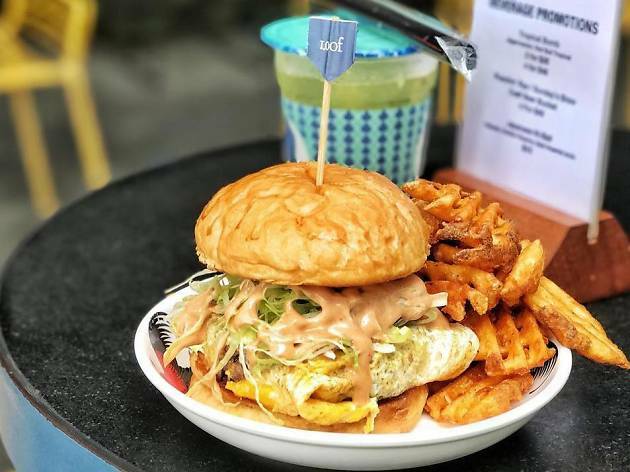 A burger joint nestled in between the Orchid Hotel’s tiny Japanese restaurants, this spot was set up by Anthony Koh and Maximilian Tung, two self-proclaimed ‘blur guys’ who were new to the food industry when they first started out. With only a few tables down a single row next to the kitchen and window where its baked goods are displayed, this intimate space becomes easily packed during peak hours. 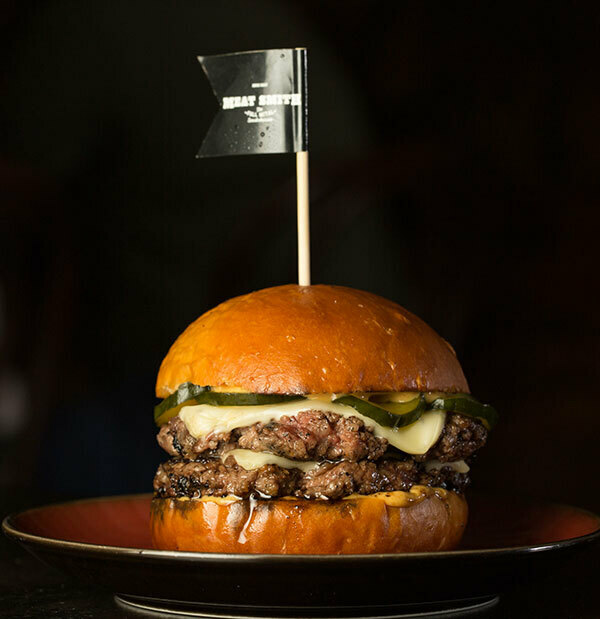 TRY Chef Jimmy Chok (formerly of Bistro Soori) consulted on the burgers here, of which our pick is the Portobello Prime Beef Burger – a hybrid of their prime beef ($12.50) and Portobello ($9.50) stacks. Sandwiched between two homemade wholemeal buns is a thick, juicy slab of beef topped with mushroom slices, Gruyere cheese, relish and truffle mayo sauce. Note: the burgers here are smallish, much like the space. Made from full-blooded Australian wagyu from Blackmore and aged Angus meat from Rangers Valley, these patties are legit. 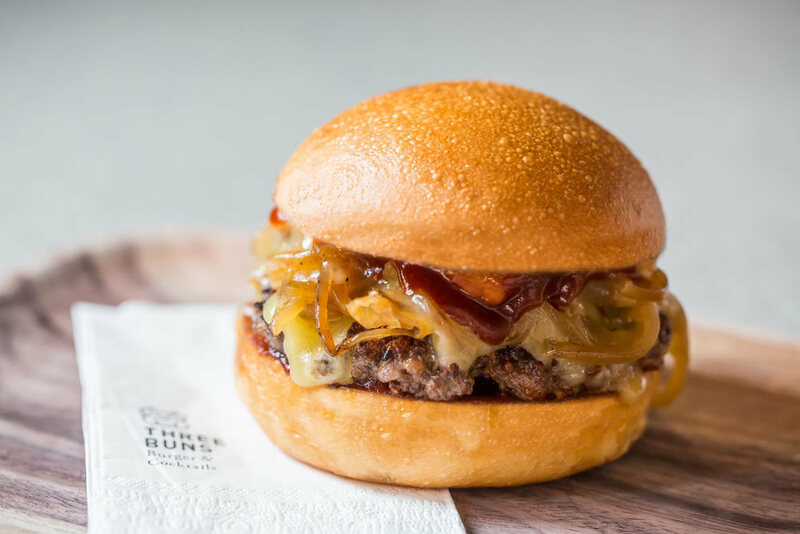 And while we're quite against the idea of filling the humble burger with expensive cows handled with kid gloves, Wildfire's juicy takes are certainly opinion-changing and worth the upgrade. 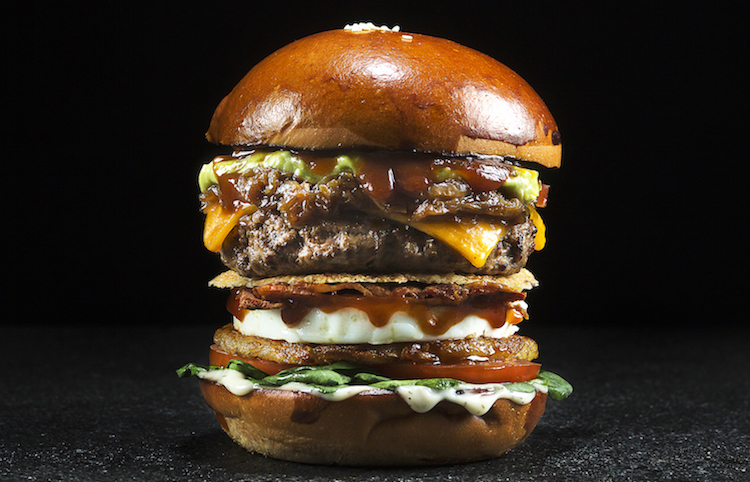 TRY The Works ($26) comes fully loaded with guac, caramalised onions, American cheese, bacon and a fried egg among all its other bells and whistles.